• Police arrested a 22-year-old Sabina female for alleged theft and obstructing official business after responding to a shoplifting report at a store on Progress Way at 5:22 p.m. on March 27. The stolen items included two vacuums, hair care electronics, wipes, and a cookware set valued at $667.92. Police would later arrest a 34-year-old Washington Court House when responding to another shoplifting report at the same store at 8:38 p.m. and charged him with alleged theft and criminal trespass. The report lists him taking $314 “in meats.” A third arrest was made at 9:56 p.m. on the same day and store. 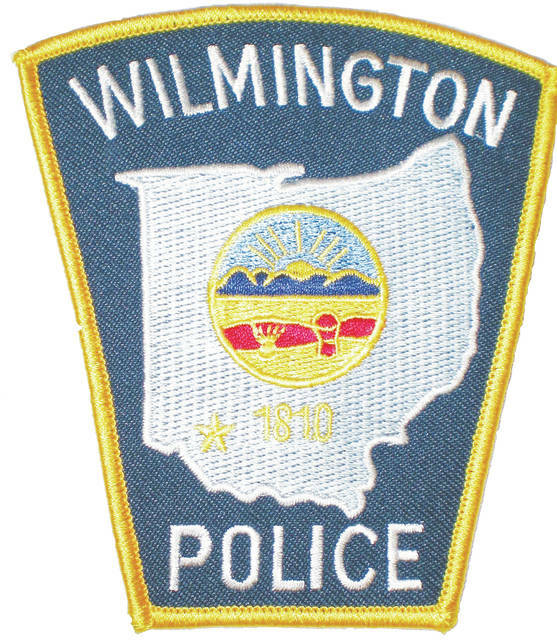 A 54-year-old Wilmington female was charged with alleged theft. The report indicates $103.96 in merchandise was stolen. • At 10:42 a.m. on March 25, police received a report of a vehicle being rummaged through while at the 900 block of Xenia Avenue. The only thing reported stolen was loose change. • At 11:19 a.m. on March 25, a store on South South Street reported miscellaneous candy valued at $10 being stolen from them. • Police responded to the report of a prowler at a store on Progress Way at 9:26 p.m. on March 25. A 44-year-old female advised of a mid-30s male with brown hair and eyes, black sportswear clothing, and scruffy facial hair was following her and two 11-year-olds around the store. She advised the male followed her “every step until she went to pay for selected items.” She notified management and said she was fearful of the male, who she advised never made a statement to her or made any body movements toward her. According to the report, the male left after only paying for a candy bar. An Asset Protection Associate at the store advised he saw the male leave the store, on surveillance footage, and get into a maroon-colored pickup truck with a maroon-colored cab. • At 9:51 p.m. on March 25, a 59-year-old female advised a female known as “Crazy (suspect name)” — a 47-year-old female — and a male subject are going around pounding on people’s doors at the 100 block of South South Street, trying to get them to buy drugs. The caller advised the suspect tried to bribe her with candy if she didn’t call the police. The suspect was reported heading northbound on South South Street, wearing a “light towel/sheet” around her with a pink coat, leggings and a bag. The suspect was not located. • Police issued a court summons to a 53-year-old male after responding to a disorderly report at the park on Rombach Avenue at 8:48 p.m. on March 26. The report does not contain further details about the incident except listing a witness and a 20-year-old female victim. • At 2:24 a.m. on March 27, police received a theft report at a gas station on South South Street. A 29-year-old Sabina male is suspected of taking $24.14 worth of various food items. • Police responded to the 1-99 block of West Main Street on an alarm going off at 5:54 a.m. on March 27. A 47-year-old female is listed as the suspect. • At 2:06 p.m. on March 27, police responded to the 1-99 block of South South Street to a 47-year-old female who requested to be taken to Clinton Memorial Hospital for “burns that she suffered earlier in the day when she lit herself on fire.” The report does not list the severity of the victim’s wounds. • At 6:07 p.m. on March 28, a silver mountain bike was reported stolen from the 900 block of West Main Street. • At 1:36 a.m. on March 29, a 21-year-old female reported she was assaulted by a 19-year-old male at the 1-99 block of Jodie Lane. • At 4:43 a.m. on March 29, Clinton Memorial Hospital reported a 37-year-old female’s wallet was stolen. The wallet contained $200 in cash, the victim’s social security card, ID, and other documents. • At 7:53 a.m. on March 29, a 59-year-old male reported tools were stolen from his unlocked shed at his residence at the 600 block of Rombach Avenue. • At 6:03 p.m. on March 30, police responded to the 200 block of Prairie Avenue on the report of medication being stolen from a 94-year-old female. A 70-year-old Sabina female, a friend of the victim, advised police it was a home care nurse who took it, and that the medication stolen was expired. • At 9:52 p.m. on March 30, a 26-year-old male reported his 2010 black Honda Civic was stolen from the 300 block of Doan Street. • At 5:33 a.m. on March 31, a 48-year-old male reported a suspicious male who the caller advised would state how he’d often take “young girls” behind the tracks on West Locust Street “to engage in sexual activity.” A 53-year-old male is listed as the suspect.